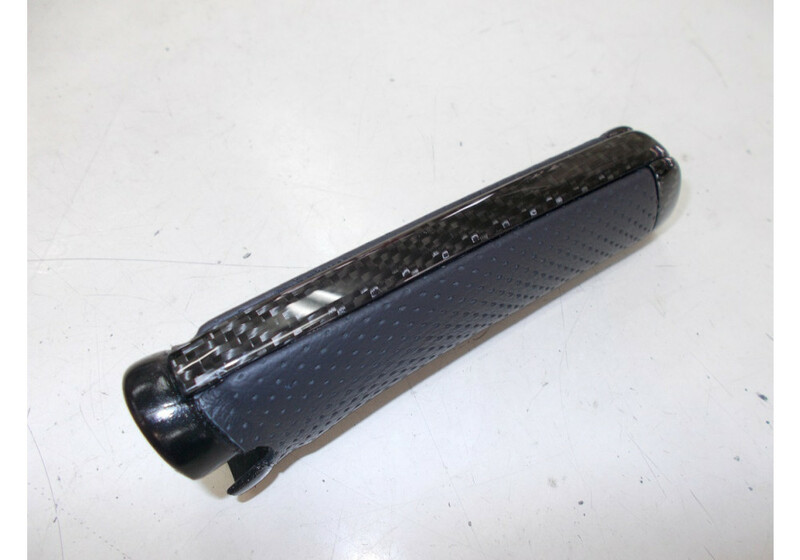 Very classy hand brake lever for the 2016+ ND Miata made by Baruta out of punched leather and Carbon Fiber. Baruta products are known for their VERY high quality and are more expensive than regular products due to reusing brand new Mazda core products to guarantee a perfect fit. 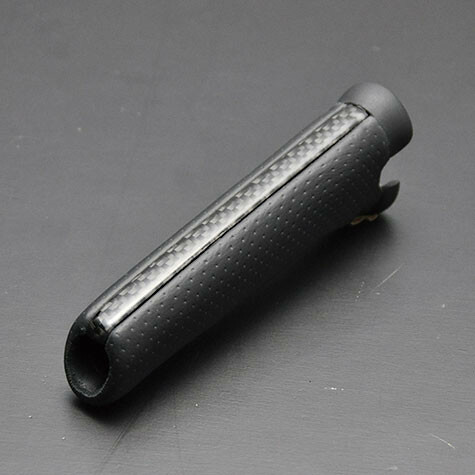 They also use real carbon fiber, for a very quality finish. 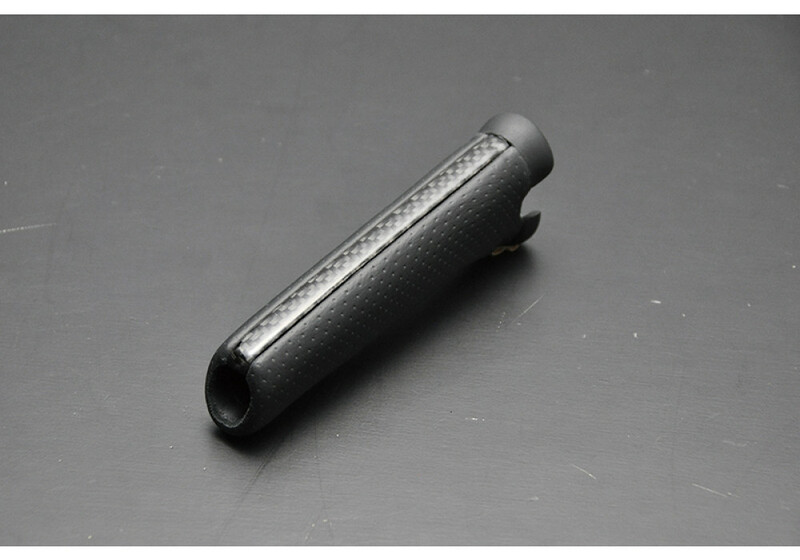 Please note that the design has slightly changed with a Carbon Fiber ring near the button (see picture on white background). Baruta Handbrake Handle should be ordered at REV9 Autosport https://rev9autosport.com/baruta-handbrake-handle.html as they provide the best service and speed we've seen so far! Does it need complete handbrake removal or just the lever ? You just need to remove the handbrake handle (lever). The assembly does not need to be removed. The OEM one is held with glue, so it's removed by force only. The Baruta one installs using glue, too.